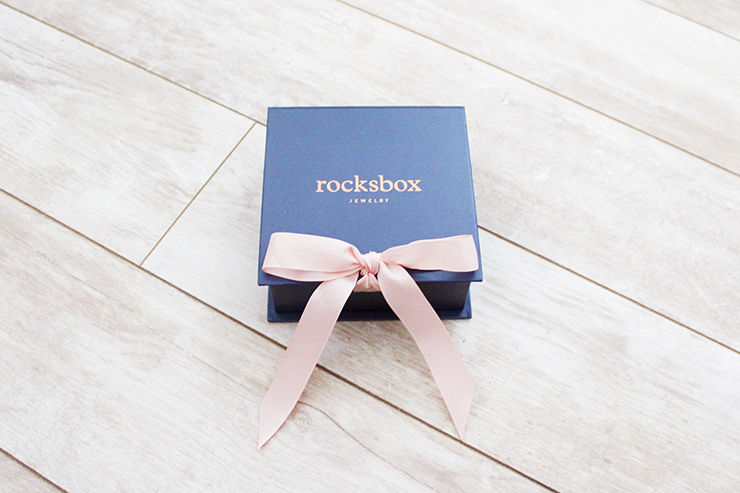 Recently I've been getting a lot of questions about what exactly Rocksbox is and how it works so today I'm breaking it all down for you and hopefully answering your questions. I also haven't shared a Rocksbox with all of you in quite some time and since this month I recieved my favorite one to date I thought it would be fun to show you what I got. Keep reading to learn more and to even get some free goodies! Rocksbox is a jewelry rental service that "gives you unlimited access to rent from an ever-rotating closet of designer jewelry." That rotating closet includes favorites like Kendra Scott, Sophie Harper, Loren Hope, Moon & Lola, and more. How can I rent from their amazing designer closet? Rocksbox works on a membership system and costs $19 a month. Signing up for a membership gives you access to their closet! What do I get for $19 a month? 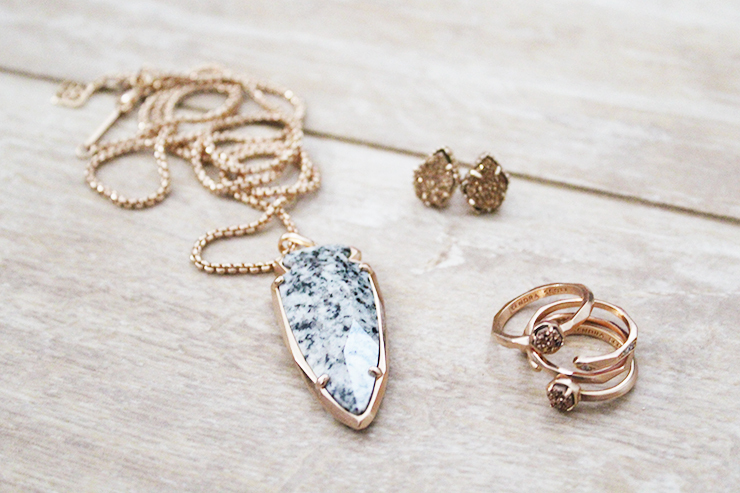 Each Rocksbox set contains three pieces of jewelry. You can send your box back and get a new set as many times as you would like during the month. This is my favorite part because if I really love a box and want to wear the jewelry a lot I just keep that one set all month; however, if I get bored with the box I have I can send it back after a week and get another and then send it back the next week or as often as I would like during the month. Do I have the option to purchase the pieces in the box? Yes! The best part is you actually get a discount off the retail price of each item and you get $10 in credit to spend each month. How do they know what to put in my Rocksbox? When you sign up for Rocksbox you have to fill out the Rocksbox Style Survey. The survey is very comprehensive asking you questions like what occasions you'd like to be styled for, what metal tones you like, favorite jewelry styles, and more. There is even a section in the survey where you can add any additional information about your preferences and style. Next, you create a Wish List by selecting all your favorite pieces so the company can get to know your style even better. 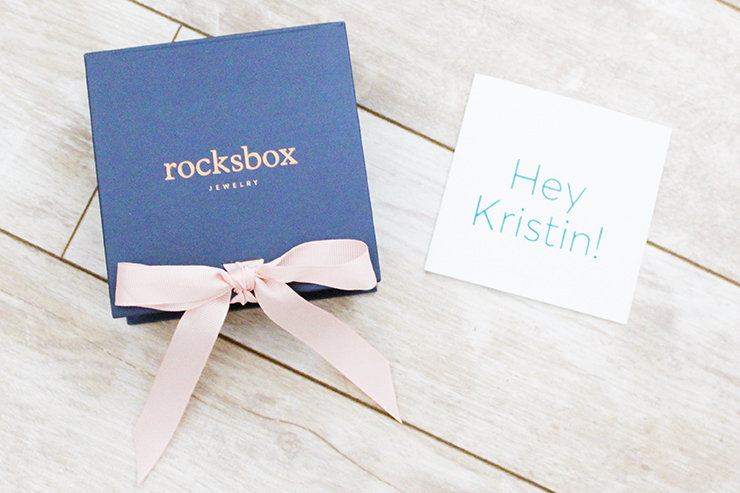 Finally once you start receiving your Rocksbox you have to give feedback on all of the pieces you receive in each set so that your stylist can learn more about what you like and want in future sets. Head to rocksbox.com, put in your email address, and hit 'JOIN NOW,' you will then be prompted to fill out your Rocksbox Style Survey and give them your personal information so they can send you the box. What are the free goodies that you promised? With my special code you can get one month of Rocksbox for FREE! This is a great way to try out the service and see what it's all about. When you sign up for Rocksbox enter the code THEBLUSHBLONDEXOXO at checkout to get your free month. 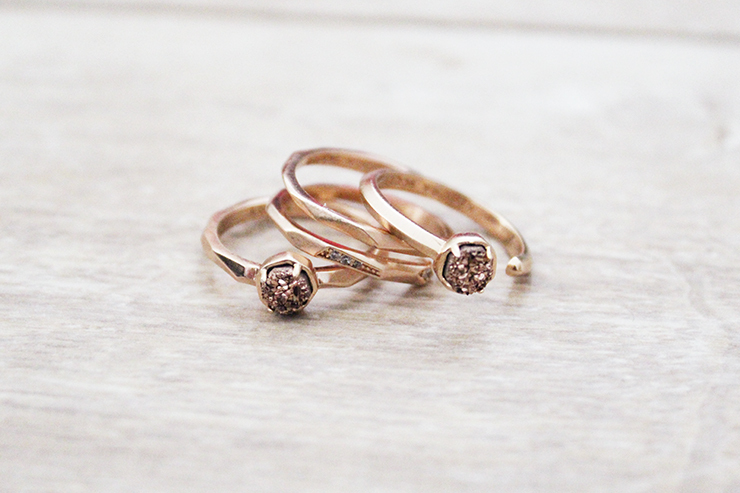 Rose gold is my favorite metal tone and this month I asked for all rose gold pieces in my set. 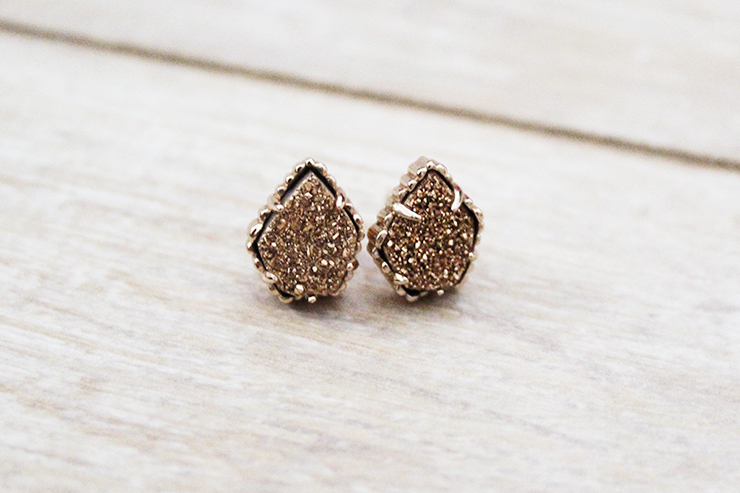 Additionally I requested a specific pair of earrings from my Wish List and my stylist was able to get a pair to include in my set. Like I said above this month has definitely been my favorite set yet! 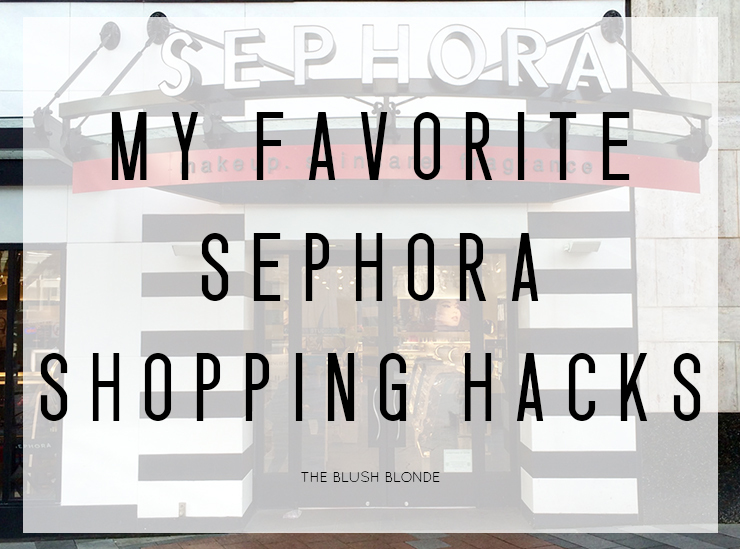 Use the code THEBLUSHBLONDEXOXO at checkout to get one month of Rocksbox FREE! All of the pieces I recieved this month were absolutely gorgeous. I love the Kendra Scott Tessa Stud Earrings and Warren Ring Set so much that I am going to be purchasing both of them. 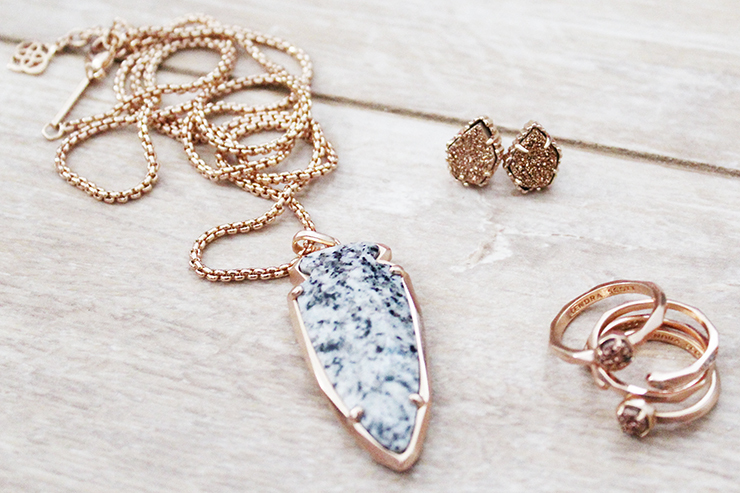 I've been trying to add more rose gold to my jewelry wardrobe and these pieces will be perfect and versatile additions. 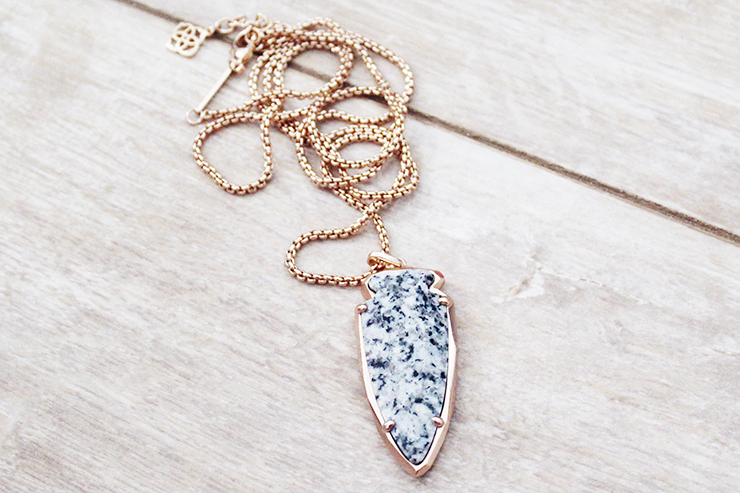 I also cannot wait to wear the beautiful and very unique Kendra Scott Kimmy Necklace a few times before sending it back! 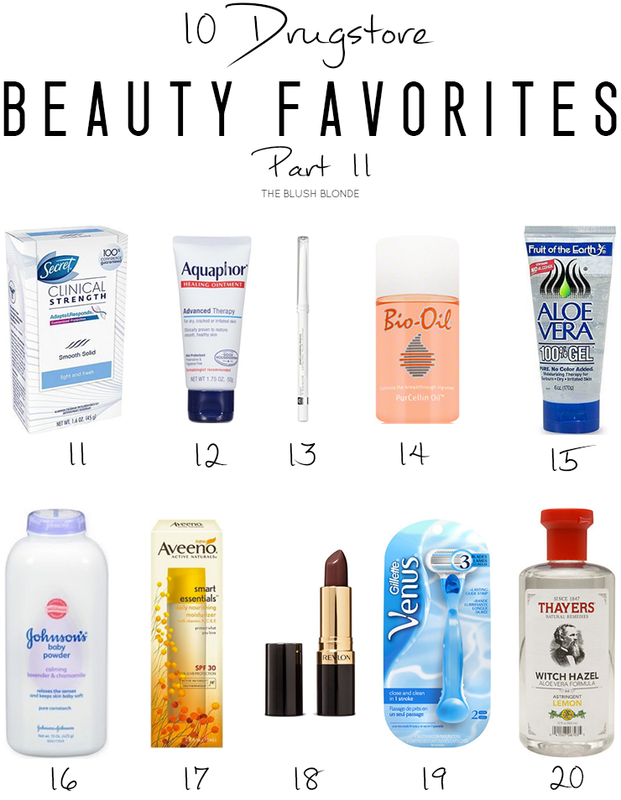 Today I'm linking up with Midweek Inspo, I Feel Pretty, and Trendy Wednesday. I don't know about you, but with the high temperatures we're experiencing I don't really feel like dressing for fall; with that said though it's hard to miss out on all of the great fall fashions hitting the stores right now. For the next few weeks we'll still be experiencing summer weather and then that awkward transitioning period where it feels like both fall and summer depending on the day. While you might not be able to rock all of fall's hottest trends right now (hello fun fur coats) there are some trends that you can adapt for the current weather! Below I'm breaking down my five favorite fall trends that you can start wearing tomorrow (or even now if you already have them in your closet!). Romance is in the air for fall with lots of blush pink, lace, floral, and dreamy looks hitting the runways. This trend is super easy to wear now if you just incorporate anything lacy, floral, or blush pink into your look. I am loving this dress for right now - it's a gorgeous pink color, a lightweight fabric, and a great silhouette, it can also easily transition into the cooler months with the addition of a sweater. 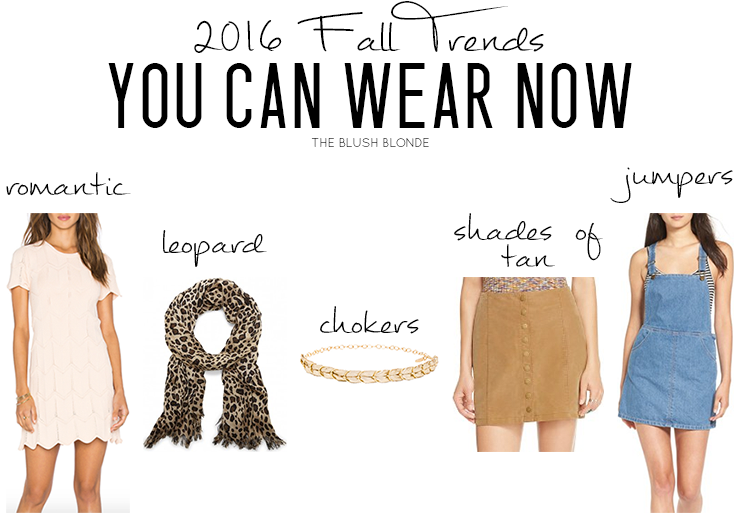 In my opinion leopard is a neutral so I was very excited to see it popping up on numerous runways for F/W 2016. There are countless ways to add a hint of leopard to your look and for this time of year I think the best way to do that is with accessories. A lightweight scarf is a must have for transitional weather (you can take it off if you're warm and wrap yourself up in it if you're cold) and is the perfect way to put some leopard into your wardrobe. I have a scarf like this one that I wear all the time and get countless compliments on! Chokers are huge right now and bring back some serious 90s nostalgia. I'm loving this chic take on an old trend and am glad it's here to stay for fall and winter. While I love velvet chokers for the cooler temperatures try a metal one, like this, for this this time of year! Different shades of tan were all over the runways for fall and I for one could not be more excited. Tan is a gorgeous, versatile color and gives a classic touch to any look. Right now a tan skirt, like this, is a great addition to your wardrobe, and it will also transition well into the colder months by simply adding tights and boots! Ladylike jumpers were seen on countless runways for F/W 2016 and this is another trend I'm really excited about. When I was in high school jumpers were really big and I had a ton of them, in the past few years I haven't worn them much, but cannot wait to break them out again! While I'm dying to rock my plaid jumper, for right now I love denim jumpers and have my eye on this one. What fall trend are you looking forward to wearing now? 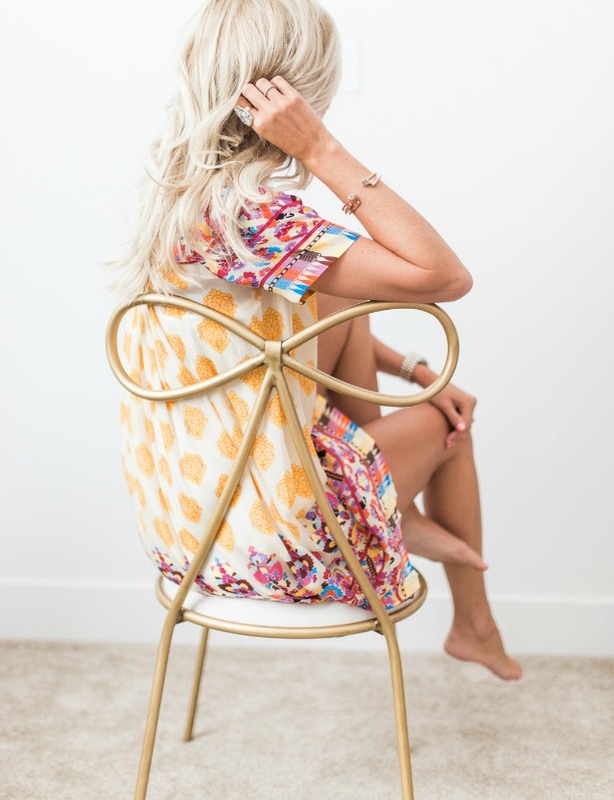 I spotted this chair on McKenna Bleu's Instagram last week and then she posted about it again on her blog yesterday. This chair is from designers and stylists, Emily Current and Meritt Elliott's home decor collection with PB Teen. All the pieces from their line are gorgeous, but this piece is my favorite. If I didn't already have a desk chair that I loved I would definitely be purchasing this because it would go perfectly with my new room! 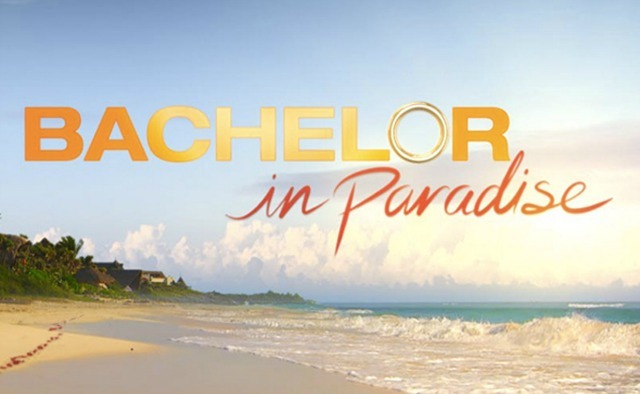 I had to check out Bachelor in Paradise after watching Jojo's season of The Bachelorette. I wasn't sure about it when I started watching, but now I'm totally addicted. It's the perfect summer watch and is super entertaining. If you haven't been watching I recommend checking it out! I am loving this beautiful pink color for a manicure. Essie polishes are my favorite so I wasn't surprised when I found another color of theirs that I love! 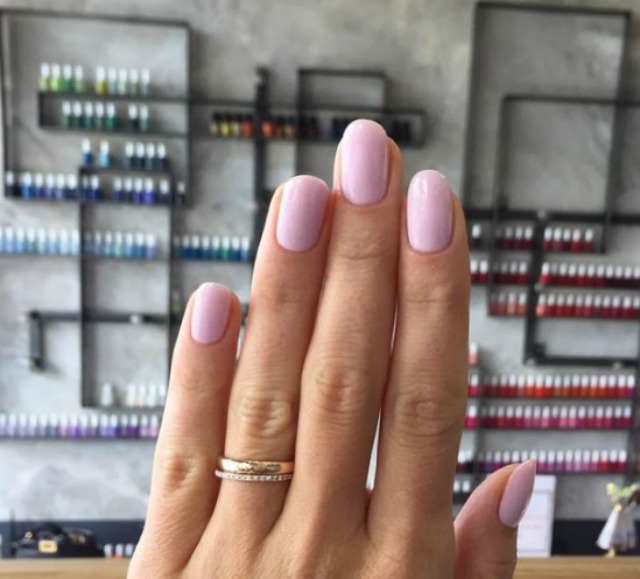 I think that this would be a great color for an end of summer manicure and next time I get my nails done I will be looking for it at the salon! Dairy has been really bothering my stomach so I have (unsuccessfully) been trying to cut it out of my diet. My big problem with cutting out dairy is ice cream, which is funny because I was never a huge ice cream person, but lately when I get a migraine it is all I want. That is where this dairy free (and vegan!) 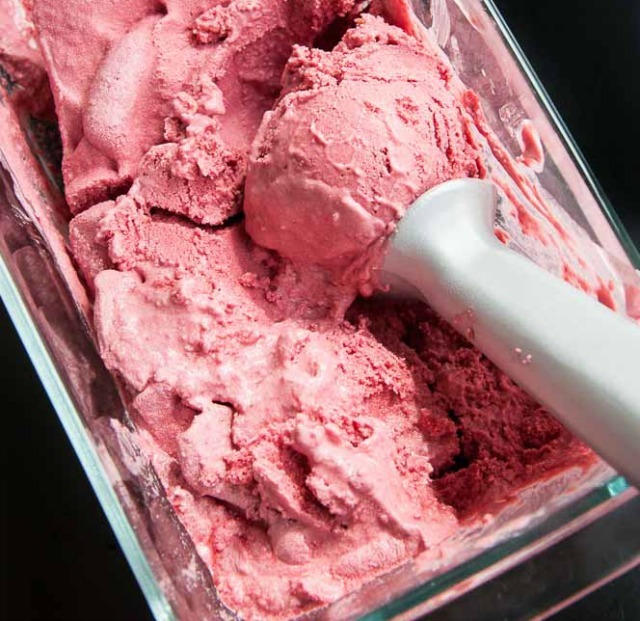 raspberry coconut ice cream comes in - it is made with coconut milk and looks absolutely delicious. It also only has a few ingredients (something I love!) and seems easy to make! 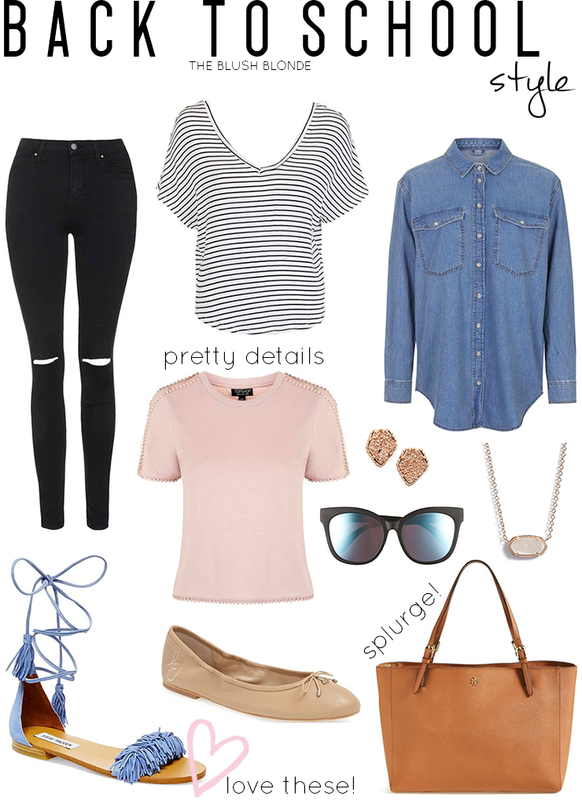 This look is perfect for transitioning from summer into fall. The dark palette mixed with summer silhouettes is what makes it a great transitional outfit. I really love the black jeans, denim shirt, and tan accessories, and the way they all come together. I know that so many schools and colleges have either started school or are starting soon so I wanted to share some back to school wardrobe staples. It's still pretty hot where I am, but before we know it we're going to be experiencing that awkward in between summer and fall weather that can make getting dressed difficult. Thankfully the pieces I have here can be worn from now through that awkward faze and beyond! A pair of black jeans are a fashion staple and can definitely be worn all year round, I love this pair and really want to buy them for myself. This tee and this tee are both perfect to wear this time of year and will easily carry into the chillier weather if you add a simple cardigan or light jacket. A staple in my closet is definitely a denim shirt which can be worn alone or layered over something and looks great with jeans or leggings. For accessories I like to keep it simple with studs and a dainty necklace and I always have to have a pair of cute sunnies, like these, on hand to shield my eyes from the sun. I also loved having a large carryall tote for all of my school supplies when I was in college and while this bag is an investment it's definitely worth it! Flats and sandals are always my go to shoes this time of year; a basic pair of flats like this are an absolute must have and this pair of sandals will add a little bit of flair to any look. Adding any of these pieces to your wardrobe is sure to freshen up your looks and help you head back to school in style! What pieces are you loving for this time of year?